We provide you and your artwork with top quality materials, when it comes to custom framing, we use only Cresent Cotton Mats (link or picture) and other materials of quality. We have a large selection of frame samples from the leading companies in North America, such as Larson Juhl, (link or pict) Designer Profile Moulding & Sunset Moulding . See our links to each frame company. Are you custom framing a beautiful piece of art that defines your personal style or adds to the decor of your home? Or perhaps custom framing is simply a way of preserving a special moment in your life. 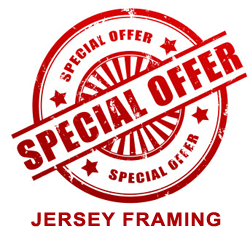 Either way, the list of custom framing ideas is limited only to your imagination and experiences. The Degree , Diploma or Certificate you worked so hard for! Rematting & Reframing of your existing art collection , to suit you ever-changing décor. Our computerized mat cutter also allows us to design mats with intricate cuts to completely customize the mat to your work of art.